Marvel’s production chief Victoria Alonso has said the “world is ready” for an openly gay superhero to soar in the Marvel Cinematic Universe (MCU). 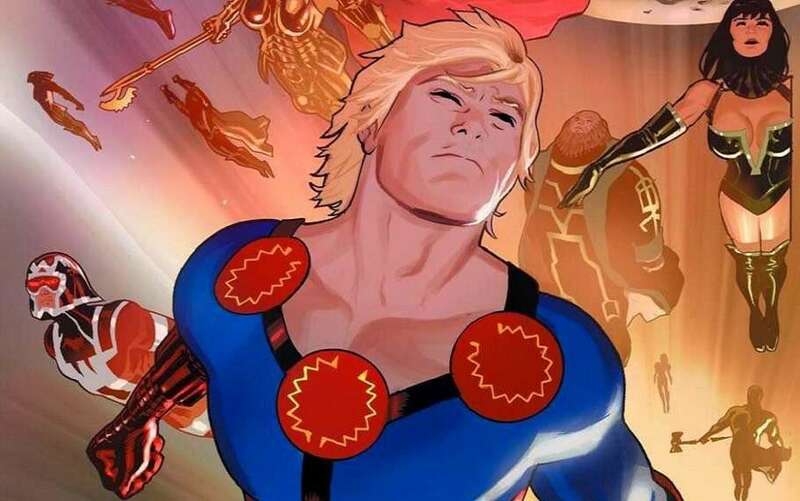 It was reported this week that Marvel Studios are actively looking for an gay-identifying actor to play a gay character in the upcoming movie The Eternals, based on the Marvel comic series. The Eternals – which is one of Marvel’s lesser known series – are a species of humans created to defend the Earth from their destructive counterparts, the Deviants. At the premiere for new film Captain Marvel – the first starring a female lead – Alonso stopped short of confirming the report but said the studio is committed to representing diversity in their films. She told Variety, “Why wouldn’t we be? I’m so passionate about this I’ve got to tell you. “Our entire success is based on people that are incredibly different. Why wouldn’t we? Why would we only want to be recognized by only one type of person? “Our audience is global, is diverse, is inclusive. If we don’t do it that way for them, we will fail. “If we don’t put the pedal to the metal on the diversity and the inclusivity, we will not have continued success. “We are going to cast the best Eternals cast that we can and when we’re ready to announce it we promise you we will,” she said. Marvel’s rivals at DC Comics have already cast Aussie actress Ruby Rose as gay superhero Batwoman in a pilot for a new TV series.